The LiveCareer.com is so confusing, visitors would be unsure whether this is a place where you make your own resume or pay to have it done by an expert. 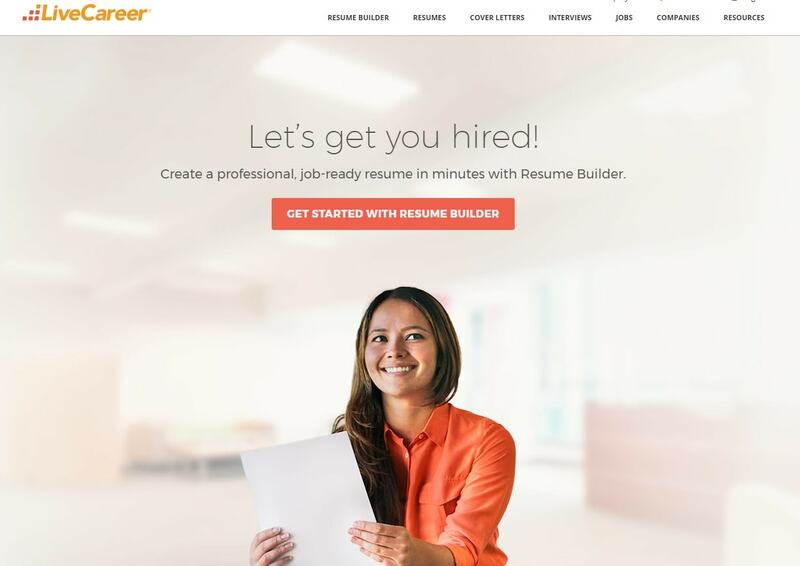 After evaluating the website for our LiveCareer review, we learned that this company offers both – you can either use their templates and make your own resume, or order it from their experts. Interestingly, there is no available information about the cost of these two. This is the tricky part – you will need to spend valuable time on finding the services of this company, since they did a poor job organizing the website content. To summarize it all, Live Career writes only three types of resumes: entry for students and people who are new to the workplace, professional and executive resumes. In addition to this, they deliver cover letters for every career level. Aside from this list, they have many helpful samples and articles, as well as a paid template you can use to create your own resume. Also, they offer job opportunities that you can look into and apply for with your new resume. Basically, the range of services here is limited to two types of products – resumes and cover letters. Unfortunately, this is not the place where you can get packages that include follow-up letters, thank-you letters or a LinkedIn profile creation. Still, if the quality is as promising as the company says, it may be worth looking into. Read on. The cost for cover letters is same for everyone -$60. This is an affordable price when compared to those of other services in the market, but we are a bit concerned about the quality, since they offer the same price for everyone and have different rates when it comes to resumes.Resume pricing is a bit different. In other words, it is much steeper than the pricing of cover letters, with the range being $90 to $299. While these prices would be solid if the company offered packages, they are extremely high since they apply to one single product – a resume. You do not get any discounts with the service. After looking into many LiveCareer reviews online, we learned that the company has fixed prices for all customers, regardless of how long you are using their services. Therefore, if you choose this service, you should be prepared to pay an extremely steep price. Even though the company focuses on one single product, they actually failed to provide this well for us. We got a resume made with a template found on the website, which means that we could actually get the same product at a significantly lower price (downloading your self-made resume is cheaper than ordering it from scratch).Basically, the writer used all our information to automatically add them in the template and sent it that way. This resume cost us $199, which is an outrageous price for such poor service. In addition to this, we got the resume within 4 days, despite the fact that the company promises to deliver their products within 2-3 days. No guarantees? For a company to be a good source of content, they need to provide some kind of a guarantee. With resume writing services, such guarantees come in the form of unlimited revisions, full rewrite in case you are not called for an interview, and even full refund with some safer services.Unfortunately, this company does not offer any of these guarantees. We decided to get in touch with the company to get informed on their services, since finding this list was impossible on the website. Fortunately, this is a service you can reach on many numbers because they have many offices worldwide. In addition to this, you can use the live chat option for contact.However, we found the live chat agents to be unresponsive. Ordering from livecareer.com is very risky since they have no revision or money-back guarantee. Basically, you’ll be paying a high fee for a single product, and there is no guarantee it will be good or you will get a rewrite. In addition to this, our experience with the company’s quality of resumes is very bad, which makes us believe that this is not the best place to order your resume and other job application documents. You won’t get a career with the help of these people. It looks like writers at livecareer.com have no experience in job applications, cuz they don’t even know the formatting of a cover letter and a resume!